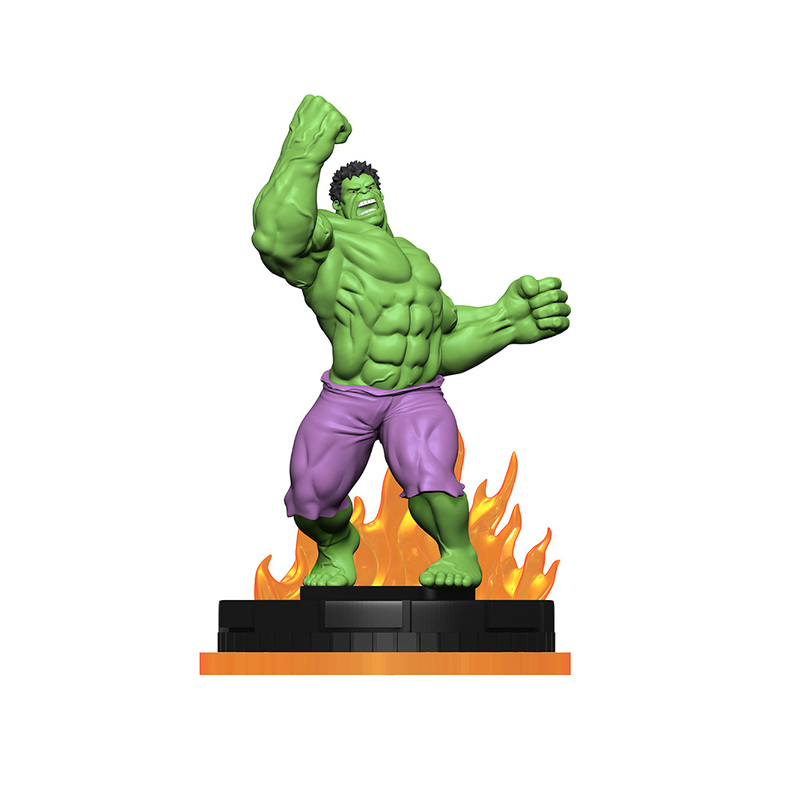 Since the advent of special powers in HeroClix, there have been powers that require “markers” to track the effect of the power. When instructed to put a marker on a character’s card, this is typically handled by players putting a penny, bead or any other small object that players use for action tokens. When instructed to place a marker on the map, players can use the SPECIAL markers included in Starter Sets (or any other flat object) that can be placed on the map. So, how do they work? Well, it’s very simple… the Clix FX Bases in themselves do not have any inherent game play effect, but rather can be used as visual indicators of game effects from standard powers as well as for traits/special powers/etc on certain characters (and, in fact, if players so choose they do not have to use the ClixFX Base and can instead use any other markers as has always been done). 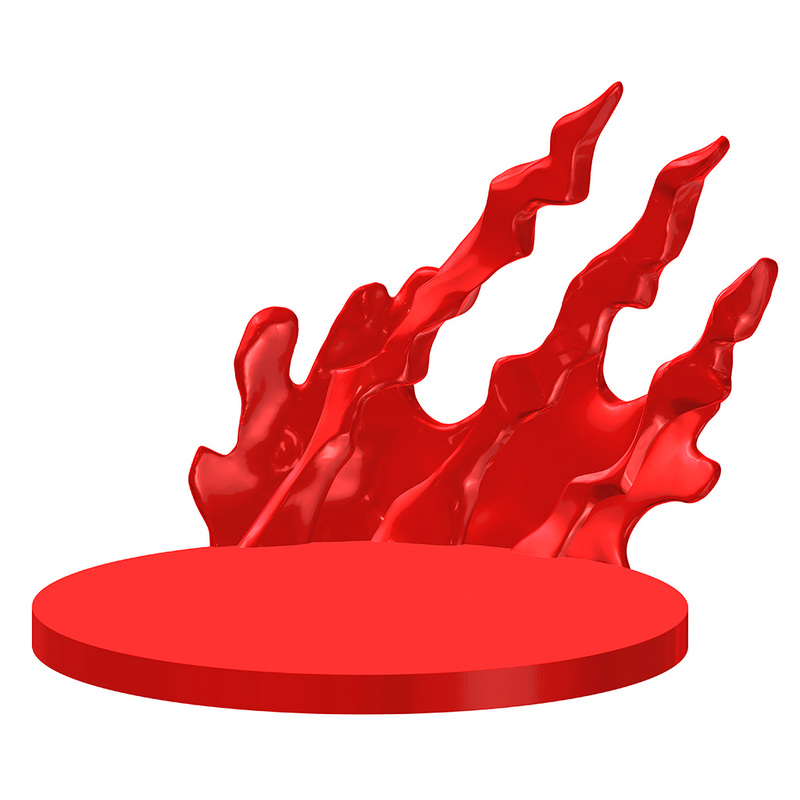 ClixFX Bases will be available in stores as a HeroClix accessory kit for use to indicate standard power game effects such as Smoke Cloud and Barrier. ClixFX Bases will also be included with certain characters in upcoming sets that will utilize ClixFX Bases to indicate their specific traits/special powers/etc. Let’s look at some general information about the ClixFX Bases themselves, then we can see a specific example of how a ClixFX Base would interact with a character’s trait/special power. Webbed, Frozen and Burning… I feel bad for this figure. 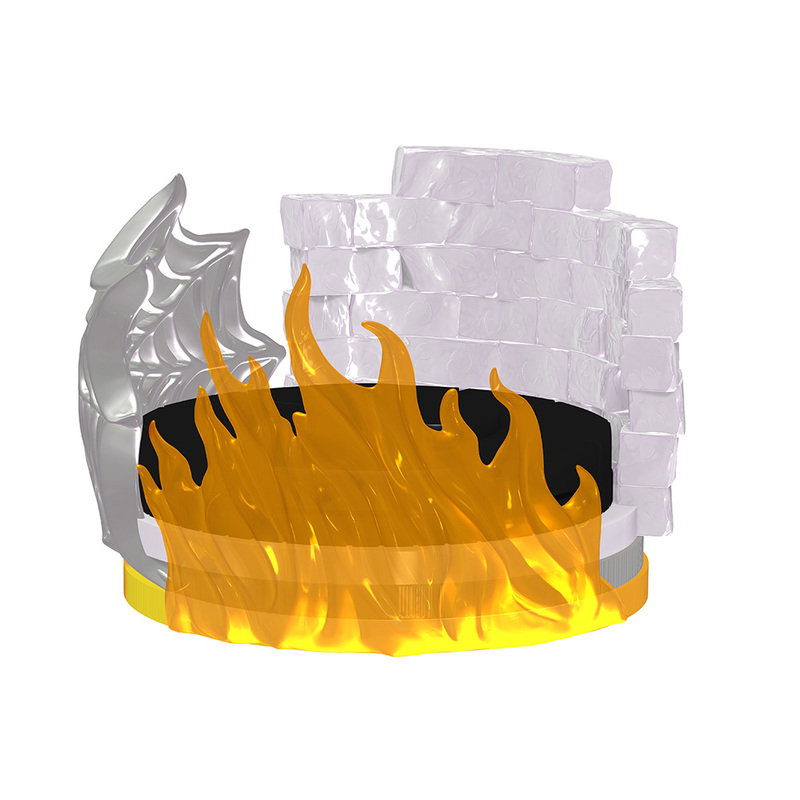 In general, characters that have special powers that utilize the same type of ClixFX Bases will have a similar game effect— so a special power that utilizes the Fire ClixFX Base will have a similar effect as special power that utilizes a Fire ClixFX Base on another character. 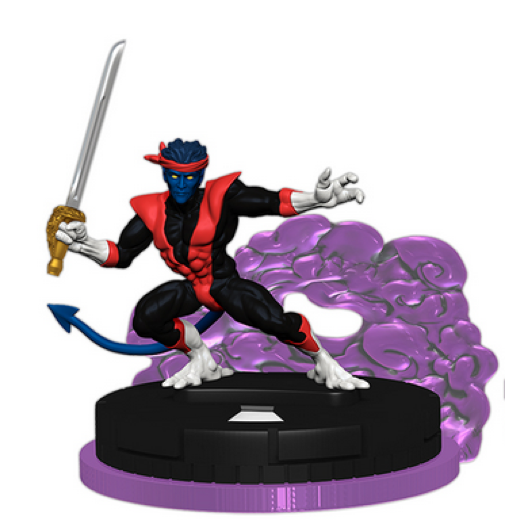 Through use of different colors of the ClixFX Bases, we can also customize them to match that characters with which they are packaged— so the Smoke ClixFX Base in the ClixFX Base Accessory Kit will be grey, but Nightcrawler’s Smoke ClixFX Base will be purple. 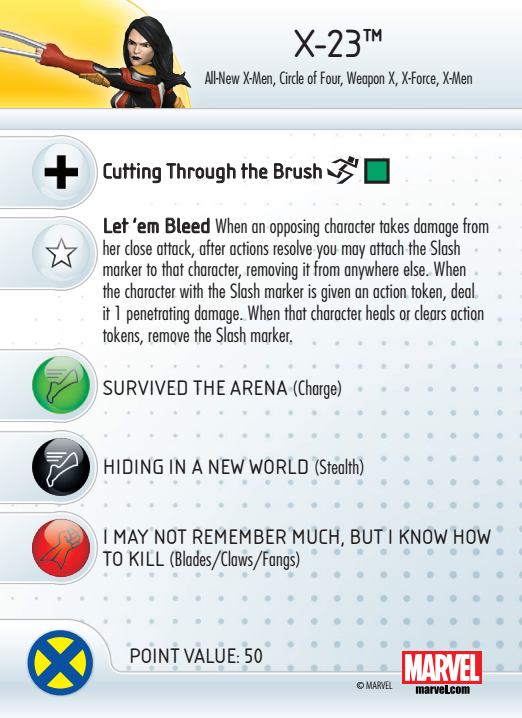 So, as we can see from her trait, whenever X-23 successfully hits an opposing character with a close attack, you may choose to place a Slash marker on that hit character— packaged in the Marvel HeroClix: Uncanny X-Men Fast Forces will be a Slash ClixFX Base that can be used as this marker. The Slash marker tracks the ongoing effect that whenever the character with a Slash marker is given an action token, they are dealt 1 penetrating damage. The character with the Slash marker can remove the Slash marker by clearing action tokens or healing the character. Having the Slash marker on a character can really make your opponent think twice about taking any action to retaliate against or even try to run away from X-23. One important note: X-23 may only place one Slash marker out at a time so, if you were to hit another character while the ClixFX Base is already out on another character, you would have to choose if you want to keep it on the character who currently has it or move it to the new hit character. Look for ClixFX Bases in the ClixFX Base WizKids Accessory Kit releasing this spring as well as included with select figures in upcoming HeroClix sets. We look forward to showing you more X-citing game effects utilizing ClixFX bases when we officially start previews of the upcoming Marvel HeroClix: Uncanny X-Menset scheduled to release in May! Oh and is love to have a new up to date version of Warpath! Hopefully better than the WoS version! I'll be keeping my eye out for a new Warpath! New Deadpool aside. I'm liking x -23! Her 60 point Wos dial maybe out dated, but I still use her in my x force team, and she dosent disappoint! 11 attack plus her trigger scent with a +2 attack boost on a chosen character is awesome! I like the duo from the Deadpool set but I feel more at home having them separated.. But I really wanna see her dial and it has me wondering if maybe she might have a primer version since she is only 50pts :/ but she might have a 11 attack maybe at least a 10.. But I look forward to seeing a lot more from this set! It would be so sick to see a new Deadpool sculpt preferably his blue/yellow or maybe even his weapon X black/red!! So much excitement! But since wiz kids. Spammed the carp outa Deadpool in his set I doubt he will be in it... But it would be sick to add a new piece to my collection! Looks interesting. Could be useful as counters for other games too. I'm a fan of that new Nightcrawler. I notice that there's a Superior Foes set coming. Anyone know if that's a full set or just grav feeds? Neat, effective and OPTIONAL. Are we sure this is WizKids cos it looks like Fantasy Flight's production values to me! Just shut up take my money Wizkids! Hopefully the sell these seperate as well as include one with the designated figure.